Colorful sea horse wall hook is perfect for your bedroom, kitchen, outdoor shower, bathroom. So many options. Perfect for towels, jewelry or scarves. We always apply a primer to reduce any chances of rust. Then we hand paint in any of our 20 custom colors (see color chart - last photo). The last step is to give them a glossy protective sealant to keep them looking great for years to come. Shown here in Sea Foam. 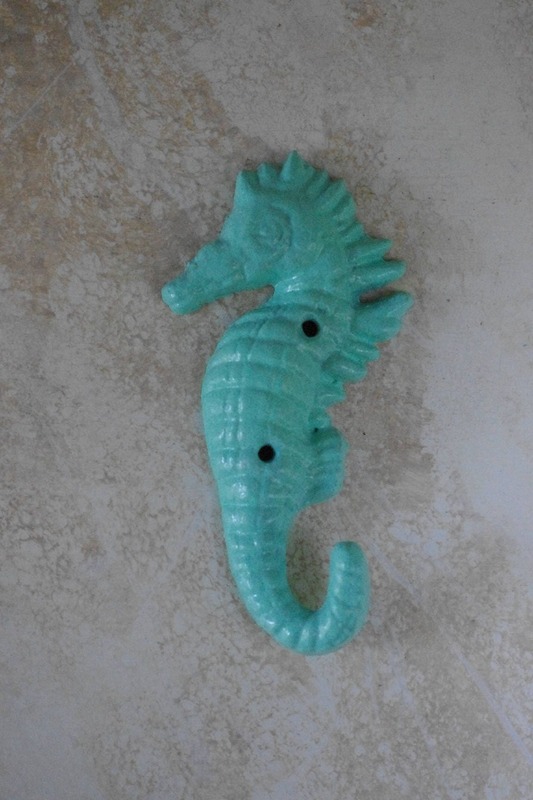 You'll love this wonderful sea horse wall hook. ♥ Sea horse = 5 1/2 x 2 3/4"